This item has been shown 42061 times. Best OffersHigh QualityFast ShippingSpecialOFFERNOTE: These glass canopies will ONLY FIT Perfecto or Marineland brand Fish tank and Please Please making sure to measure you fish tank carefully this is the correct size your need before place a order. braceThis canopy requires a center brace in your aquarium to work. It has three 22.75” x 22.375” pieces to make a whole.20" x 18"Designed for 37 Column Perfecto Aquariums.18.75" x 16.875"30" x 18"Designed for 30B and 56 Column Perfecto Aquariums.28.75" x 16.75"36" x 18" for Breeder Tank40 gallon breeder aquariums that do not have a center brace.34.75" x 16.75"
brace22.75" x 22.25"Each Piece (2 pieces)for 2.5 gallon2-1/2 gallon11.5” x 5.5”18" x 18"frameless Perfecto 25 gallon Cube aquarium.17.125" x 17"24" x 24"frameless Perfecto 45 gallon Cube aquarium.23" x are due within 3 business days after the end of listing but can be extend up to 7 business days when buyers contact us after purchase. We reserve the right to cancel order after 7 business days if payment was not currently only accept Paypal and credit or debit card and bank payments safely and easily though PayPal. We ship both domestic and international on most of the items we sale; otherwise, it will stated on the listing. We offer shipping methods from these major shipping carriers including USPS, UPS and FedEx. (Note: This only applies to item ship from other than Hamden, Connecticut or item with item location display other than Hamden, Connecticut or Brooklyn, New York). Please note Both UPS and FedEx does not delivery to a PO Box address.Physical shipping address are require for both service when you select UPS or FedEx shipping methods. Our normal shipping and handling time are two business days after we receive the payment. We ship every day except weekend. Please note this standard shipping time does not applies to items ship from these locations Brooklyn, NewYorkas we do not have any control of shipping andhandlingtime on these drop ship orders. 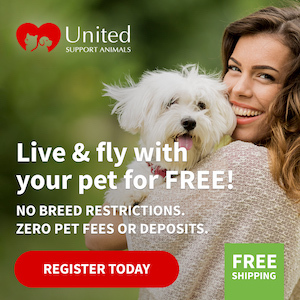 In the case you place a drop ship order with us and the items are on back order status, you will be given the optional either to request a full refund including the original shipping or we can put you order on pick up currently are not Pet Supplies hop all buyers have a unique and pleasure buying experience. Achieving 100% customer satisfaction is our number one goal, thatwhy we offer a 30 days money back guarantee on you purchase. If for any reasons, you are not completely satisfied with the items your receive simply return it to back to us within 30 days from the time you receive the order for a full refund minus the original shipping. Simply contact us by clicking on the contact us button next tonewsletteron the top is the only part does not cover under the 30 days money back guarantee unless the return was due to our error. If the items you return come with "Free Shipping" offer, we will deduct original shipping charge from the refund. Buyers areresponsiblefor shipping cost on both way. Refund will be issue in the same methods where buyers paid for his or her purchase. In the case of “Electric Dog Fence”, wire are non-returnable if they are already been installed either below or above the ground. o Return the merchandise back to us within 30 days after you receive it. o Return products in their original package includes all accompanies accessories and in resalable condition. 0 For Pet bed, there should be no pet hair in it. Important Note Please Read Carefully this glass canopy are not guaranteed to fit other brands of aquariums as they are made to fit the Marineland Perfecto brand aquariums.Please make sure you measure your tank prior to placing the order. Perfecto Canopies are the economical, yet stylish way to top off your aquarium.With a polypropylene hinge for easy access to your tank, as well as a plastic back strip that can be cut for heaters, filters, etc., these canopies provide protection for your fish while allowing you to customize your lighting setup.Long-lasting performance, made to fit all Perfecto Aquariums Canopy Size Fits Tanks Dimensions for 5.5 gallon 5-1/2 gallon 15.25 " x7.625" 20 x 10" 10 gallon 19.375 " x9.375" 24 x 12" 15 gallon / 20H 23" x 11.5" 30 x 12" 20L / 29 gallon 29.125" x 11.5" 36" x 13" 30 gallon / 40H 35.125" x 11.375" 48 x 13" 55 / 60 gallon 23" x 11.25"
brace This canopy requires a center brace in your aquarium to work. It has three 22.75” x 22.375” pieces to make a whole. 60" x 18" Fits 60" x 18" aquariums with a center brace. This comes in two 28.75” x 16 3/8” pieces and needs a center brace. 30" x 18" Designed for 30B and 56 Column Perfecto Aquariums. 28.75" x 16.75" 36" x 18" for Breeder Tank 40 gallon breeder aquariums that do not have a center brace. 34.75" x 16.75"
brace 22.75" length x 22.25"Width Each Piece (2 pieces) for 2.5 gallon 2-1/2 gallon 11.5” x 5.5” 18" x 18" frameless Perfecto 25 gallon Cube aquarium. 17.125" x 17" 24" x 24" frameless Perfecto 45 gallon Cube aquarium. 23" x 23.125"
Payment are due within 3 business days after the end of listing but can be extend up to 7 business days when buyers contact us after purchase.